At our annual fall conference we have a publisher and vendor display area that provides teachers with bountiful resources, teaching ideas and helpful resource contacts. Inevitably, teachers need to reconnect with representatives from an organization, association or company but have forgotten the name and contact information of the individual/agency/organization/association. This page is designed to solve that problem for our teachers and provide a helpful resource for teachers to connect with those publishers and vendors who participated in our most recent annual conference. Please note this is not designed as an advertisement site for publishers/vendors but as an additional resource page to assist teachers. 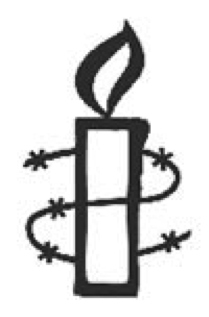 Amnesty International is a worldwide movement of people dedicated to the protection and promotion of human rights. 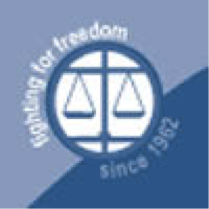 We are building a world in which every person enjoys the rights included in the Universal Declaration of Human Rights and other international human rights standards. Amnesty International began in 1961 and now has more than 2.2 million members in over 150 countries. Amnesty International has produced human rights materials for use in the classroom and supports youth and student groups around the world. Teachers are invited to take advantage of AI materials and support for youth activism in a number of ways. For youth and student groups: youth/student group registration package, youth activism guide, in The Mix monthly newsletter, campaign posters and action materials, films and guest speakers and volunteer/work experience opportunities. For more information on these and other ways to incorporate human rights into the curriculum and your school, contact: Don Wright, Regional Development Coordinator, BC/Yukon. dwright@amnesty.ca Tel: 604-294-5160. Barkerville Historical Town offers the thousands of school children who travel from all over the British Columbia the opportunity to learn about the history of this unique historic site. During May and June, the town reverberates with a live theatre, guided tours, demonstrations, street interpreters, stage coach rides, restaurants, gift shops, a photo studio, a bakery, numerous demonstrations and over 120 restored or reconstructed buildings filled with displays. There are many individual programs for the visiting schools. The goal of Better Classroom Guidebooks is to develop learning resources for use in Canadian Social Studies classrooms. All of our resources are distributed on CD-ROMs and may be printed out as required. You are invited to explore our website and download sample resources that you can use in your classroom. 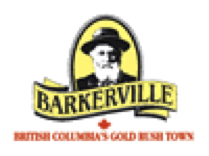 Check out the Freebies page on BC Guidebooks’ website. It features crossword puzzles that you can download for use with your students. Check back frequently because they are changed every couple of weeks. B.C. 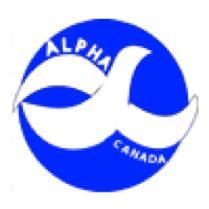 ALPHA is a partner in the development of the BC Education Ministry developed Teachers’ Guide, Human Rights in the Asia-Pacific 1931 – 1945:Social Responsibility and Global Citizenship which supports the prescribed learning outcomes for Social Studies Grade 11, History 12 and Law 12. This is an excellent class tool for peace and justice education and for fighting against racism. Events: The BCCLA organizes an annual one-day interactive forum for students in grades 10-12 taking Social Studies and/or Law classes. The forum, held at SFU Harbour Centre, includes topics such as; youth and criminal law, student civil liberties at school and student choice workshops such as homelessness, student activism, media concentration and civic activism and privacy and social networks in an electronic age (Facebook). The British Columbia Youth Parliament is a unique opportunity for students to learn about the parliamentary process and develop their citizenship skills by participating in democracy in action and community service projects. 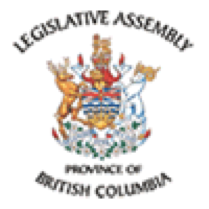 Every year from December 27-31, 95 members of BCYP from across the province come together in Victoria to debate in the Legislative Chambers on legislation laying out their plans for the year and private members resolutions on topics of local, nation, and international interest. After this parliamentary session, members return to their home communities, where they engage in local community service and work together to plan and execute education, service, and fundraising projects, including Regional Youth Parliaments for youth aged 14-18 years and partnerships with other community organizations. BCYP is open to applicants 16 to 21 years of age, and application forms are available online from early September to the third week of October each year. More information can be found at the web site. CANADIAN ACADEMIC TRAVEL SERVICES INC.
Canadian Academic Travel Services Inc. is one of the oldest names in group educational travel in western Canada. The staff of our company have been assisting school and college groups to plan, organize and participate on education travel programs since 1971. We have a range of preplanned programs for Social Studies Departments which will assist you organizing your next teacher led travel program whether it is to a destination in Canada, the United States or Western Europe. If you or members of your department are in the planning stage for your next major trip, contact us and let us share our expertise with you. Study travel groups have specials needs and our experience in all fields of educational travel will help you facilitate the process of forming and travelling with your social studies students. Many schools and teachers are involved with educational travel programs on a yearly basis and for students and parents it demonstrates the commitment of your school to learning opportunities beyond the classroom door. 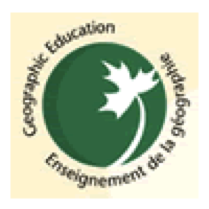 The Canadian Council for Geographic Education is pleased to offer teachers ready-to-use lesson plans. These lesson plans were written by qualified CCGE teachers and are available for the appropriate curriculum within each provincial and territorial jurisdiction. They all reference the CCGE published Canadian Standards for Geography and the Scope and Sequence Chart. The CCGE plans to add to this collection of lesson plans yearly so that teachers will have a growing source of ideas to draw from. Canadian Heritage is responsible for national policies and programs that promote Canadian content, foster cultural participation, active citizenship and participation in Canada’s civic life, and strengthen connections among Canadians. In addition, Canadian Heritage sponsors a number of activities and contests such as the, “National Creative Writing and Artwork” contest plus the “RACISM. STOP IT!” contest. Classroom Ready provides teachers with current events publications that make it easy to teach the latest International, National and Provincial News. These time-saving publications have been created by the teachers of Classroom Ready for the Social Studies and Science curriculums and include exciting and informative articles, maps and map activities, comprehension questions, lessons and quizzes with answer keys. As teachers, we take pride in developing top quality resources for the Canadian classroom. We offer a Weekly Current Events package, a Monthly Current Events package, and a Science Monthly package, each for two grade levels, Grades 5-7 and Grades 8-10. Come Walk Awhile in Our Shoes: A Journey of Ordinary – & Some Not-So-Ordinary – Canadians, 1900-45 & 1945-99. Nationally-acclaimed author and journalist, Roy MacGregor, has called Come Walk Awhile in Our Shoes “a brilliant approach to taking ‘boredom’ out of teaching Canadian history.” This engaging approach takes students on both a collective and individualized journeys through the impersonal macro-events that shaped the Canadian experience from 1900-45, and 1945-99. Students assume personal profile identities that incorporate ethnicity/ancestry, locality and social class. An assortment of unpredictable dynamic situations impact upon their simulated lives and those of their families – and, the Canadian story comes alive in the hearts and minds of teenagers, in a way, rarely seen! Peter Kear has done workshops on this approach at OHASSTA in Toronto, for school boards and at faculties of education across Ontario. This past September, he joined the staff of Nipissing University’s Faculty of Education. 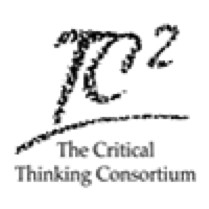 The Critical Thinking Consortium is a non-profit association of 55 institutional partners, school districts, faculties of education, teaching professionals, associations and other educational organizations. The Consortium’s purpose is to support the infusion of critical thinking across all subject areas from the primary grades to graduate school. Its aims are to enhance students’ abilities and inclination to think critically, deepen their understanding of curricula, encourage their engagement with the world, and nurture their willingness to act in thoughtful, responsible ways. With a comprehensive view of critical thinking, the Consortium also serves educators and interested organizations by providing related information and resource materials, and carrying out professional development programs and projects. Since 1993, the Consortium has published an award winning series of 22 curriculum resources and worked with over 35,000 educators across Canada and in the United States, Israel, England, India, Finland, Hong Kong and the Caribbean. 4. Get direct mailings from us, including The Thinking Teacher, a free monthly resource digest we offer. Distribution Access is Canada’s number one source for educational media for the classroom, offering dvd, vhs and digital streaming. D.A. is the exclusive Canadian distributor for Disney Educational Productions, Classroom Video, Canadian Geographic Kids, 100% Educational Video, and the largest distributor of programs from Schlessinger Media, NOVA, and many other producers. Emond Montgomery Publications has developed an exceptional roster of high school texts over the past several years. Three of our recent texts are Trillium listed and are highly acclaimed by both instructors and students. Our books are 100% Canadian in content, written by experienced authors who understand the classroom curricula. 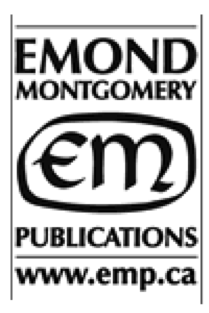 Emond Montgomery is committed to offering outstanding customer support and exceptional teacher’s resources. The company is independent and 100% Canadian-Owned. 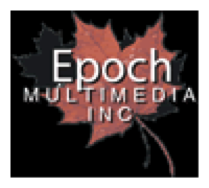 Epoch Multimedia is the producer of the Canadian History Series: 1939-2000. The series, available in English or French, was produced in partnership with the BCSSTA and six federal government departments and agencies. The nine, 30-minute, fully-menued DVDs are designed to mesh perfectly with BC’s modern Canadian history course. The Historica Foundation of Canada is a charitable organization dedicated to increasing an awareness and understanding of Canadian history and its importance in shaping our future. Both elementary and secondary teachers will benefit from the bilingual resources available – most free of charge – to schools throughout Canada. The website http://www.historicacanada.ca is the online home of Historica and gateway to The Canadian Encyclopedia, the History Minutes, and Learning Modules for secondary students such as Peace and Conflict. Lesson plans, Teacher Talk forums and information on the History Fairs Program and Encounters with Canada (for students aged 14 to 17) are also available on the website. Historica was honoured to receive the 2007 BC Social Studies Teachers’ Association Partner of the Year award. 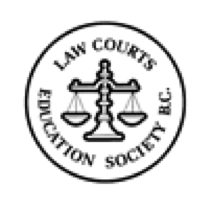 The Law Courts Education Society of BC is a non-profit organization that helps the public better understand how the Canadian justice system works. Our web site is a great resource for both teachers and students because it provides innovative and interactive programs to make learning fun. Public Education & Outreach encourages appreciation and engagement in the parliamentary process through the education of the public about the institution of Parliament and the significance of B.C.’s Parliament Buildings. Please visit our website to book your free guided tour of the Parliament Buildings, to watch videos and obtain transcripts from past debates, to view copies of current and past legislation, and to obtain copies of our educational resources. Free Guided Tours of the Parliament Buildings: Curriculum-based tours available in English and French. Learning Resources and Publications: A variety of activity sheets, posters, fact sheets, lesson plans and videos for use in your classroom. B.C. Teachers’ Institute on Parliamentary Democracy: A week-long professional development opportunity for teachers in the Spring and Fall of each year. Oxford University Press (OUP) specializes in Early Literacy, Social Studies, Language Arts, Business, French-As-A-Second Language, and Reference resources for grades K-12. OUP is a department of the University of Oxford in England, and shares the University’s mission of furthering excellence in research, scholarship, and education by publishing worldwide. Pearson Education is Canada’s leading Educational Publisher, creating innovative core and supplementary resources for K-12 teachers and students. Pearson publishes across a wide disciplinary range, including Social Studies,Language Arts, Mathematics, Science, Modern Languages, Fine Arts, and Business and Technology. Pearson Education draws upon a strong foundation of educational research to create classroom materials and professional learning resources. Our focus on supporting teachers and students makes us unique in the Canadian Educational Publishing field. We are the only publisher who engages in a genuine listening process, including concept meetings, focus groups, advisory panels, and field testing ALL before our resources are published. The time we spend talking to teachers about what matters to them and their students is reflected in classroom resources that are curriculum based, engaging, student friendly, and supportive of the hard work that educators do. We are pleased to support BC Social Studies Teachers by providing a variety of learning options for teachers and students. Please visit our website at http://www.pearsoncanadaschool.com/ for information on our classroom and professional resource and have a great school year! The VHEC is a teaching museum that delivers Holocaust-based anti-racism programming through its exhibits, school programs, teaching materials, student symposia, teacher conferences, outreach speakers and public programs. Fair Vote Canada https://fairvotingbc.com/ Fair Vote Canada (FVC) is a grassroots, non-profit citizens’ campaign for voting system reform. We promote the introduction of an element of proportional representation into elections for all levels of government and throughout civil society.Classroom Materials: Fair Vote Canada volunteers, including teachers, have developed a Voting Systems Lesson Plan. The lesson and accompanying power point presentation is available in both English and French, as well as a Youtube instructional video. The lesson compares First Past the Post to Proportional Representation using a mock vote, generates student discussion of pros and cons of both systems, and explores the topic in the context of Canadian elections.The lesson is designed for introductory level social studies or civics, but can easily be adapted for other subject and grade levels. An article about how one teacher helps students explore this topic in her classroom can be found here.